Popular online casino brands Dunder and Wunderino have become the latest operators to sponsor the fourth annual AffiliateFEST, which takes place in London on Wednesday 19th September at the Hilton Hotel, Olympia. They join previously announced sponsors Novibet, Videoslots, Intertops, Buffalo Partners, Income Access, VBet, Wag.io and YourFreeBet.com in supporting the event which offers accelerated digital learnings for igaming affiliate entrepreneurs. Adam Webber, Head of Acquisition at Dunder Casino, said: “Dunder is always keen to meet and engage with its affiliate partners as they are such an important part of our story and continued success. AffiliateFEST provides a unique opportunity for affiliates and operators to meet in a highly educational environment for both parties. The event’s bespoke agenda has been tailored to deliver real insight, genuine value and plenty of actionable tips and tricks. The fourth running of the event will see attendees hear from the brightest minds and creative talents in the digital space, including keynote speaker Ben Jeffries from influencer.com and a range of experts from the likes of SearchBrothers, Harris Hagan and Digital Fuel. The focus this year is on helping affiliates better understand the code of advertising and where the opportunities for growth and revenue development lie. This includes the role artificial intelligence and blockchain will play in the affiliate sector moving forwards. 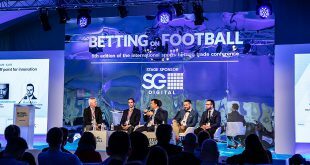 The event also offers a plethora of networking opportunities throughout the day where delegates can talk with digital and igaming experts in a fun and relaxed environment. 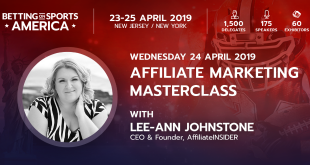 Lee-Ann Johnstone, founder of Affiliate Insider, which runs AffiliateFEST, said: “We are thrilled to announce the support of two more big-name brands in the form of Dunder Casino and Wunderino. 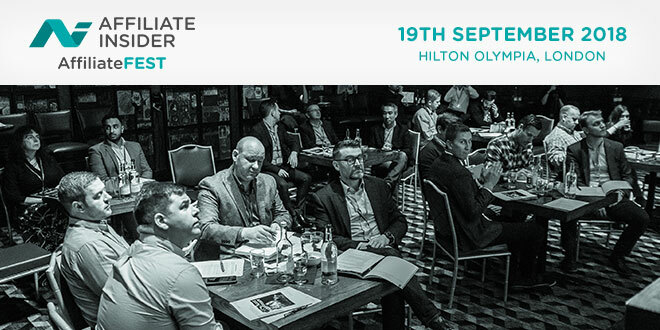 Affiliates wishing to attend AffiliateFEST can register here, while operators or suppliers interested in sponsorship can enquire here.